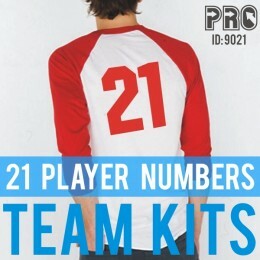 Team iron-on transfer Numbers in athletic Jersey Block Font style numerals, in 7 sports league colors. 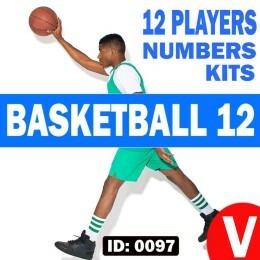 These Sports numbers are the ideal size for pri..
BasketBall 12 Player Vinyl Iron-on Numbers Kit. 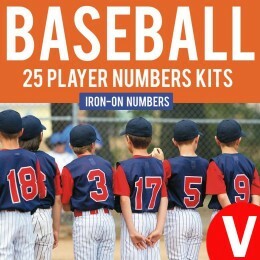 Player Iron-On Numbers come in standard sizes 4"- 6" - 8" - 10" Tall, Available and in various colors. 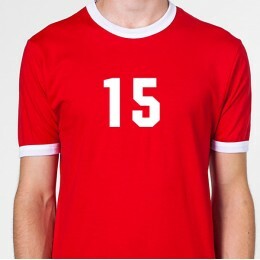 You simply iron them onto your own Basketball J..
Screen Printed Iron-on Player Number Kits for sports teams. 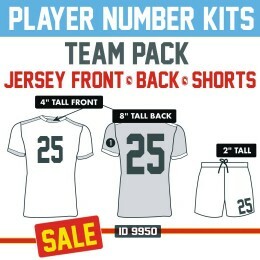 8 Inch Tall Numbers in various colors and team kits. 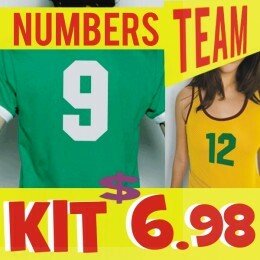 Volleyball 6, basketball 12, fun office, 1..
Sports Teams Complete Player Number Sets for Front & Back of Jersey plus Shorts. Come in 2 inch for shorts, 4 inch for front of jersey and 8 inch for the Ba..
Screen Printed Iron-on Player Number Kits for sports teams. 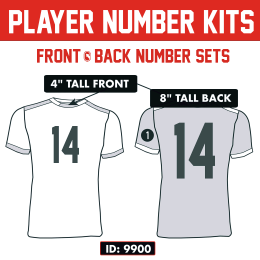 8 Inch Tall Numbers in various colors and team kits. Volleyball 6, basketball 12, fun of..